FRANKFURT (Reuters) -- Mercedes-Benz sees business potential in offering on-demand limousine services using driverless cars, Daimler CEO Dieter Zetsche said. The carmaker is considering setting up large fleets of autonomous cars to cater to a new customer base which is less attracted to vehicle ownership but still interested in using premium transportation services like limousines. "This is a concrete development goal of ours," Zetsche told Reuters on the sidelines of a Mercedes event on the eve of the Frankfurt auto show. Daimler already has car2go, its own car-sharing service which allows subscribers to locate and rent a nearby vehicle from a fleet of Daimler-owned vehicles using a smartphone. 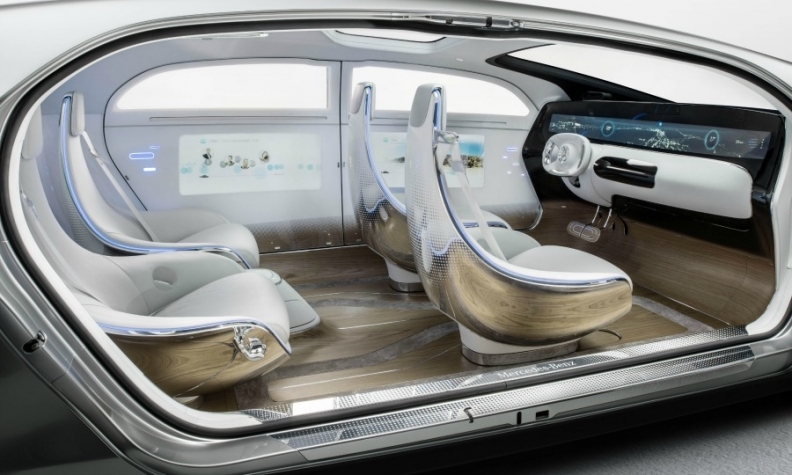 "It would be even more convenient if the car came to you autonomously," Zetsche said. "And it would be extremely practical if the car2go appeared without needing to be prompted, once my appointment in the calendar had come to an end." In August Daimler, BMW and Audi bought high-definition mapping service HERE. A year earlier Daimler bought MyTaxi, an app that allows customers to hail a cab, track its progress and pay for the ride using a smartphone. Zetsche said that the combination of car rental services and autonomous vehicles opens up new business opportunities. "I think you don't need too much imagination to see that by combining these strengths, attractive business models are possible in future," Zetsche said. Mercedes has already developed a prototype autonomous car, but self-driving cars are not expected to hit showrooms until 2025, as regulators grapple with questions of liability. Consultants at Boston Consulting Group said the falling cost of technology means that taxi services with autonomous vehicles could be up to 35 percent cheaper than conventional cabs. Daimler's expansion plans in car sharing are being closely watched by rival BMW, which operates the DriveNow car-sharing service, and by Uber, which has said it will expand into 100 Chinese cities over the next year. The market penetration of vehicles with autonomous features is expected to reach 13 percent by 2025, representing a market of roughly $42 billion, Boston Consulting Group said. In August 2013, Mercedes developed an S class which drove between Mannheim and Pforzheim in Germany without driver input.